So I have a confession to make…I’m a monster…a cookie monster! 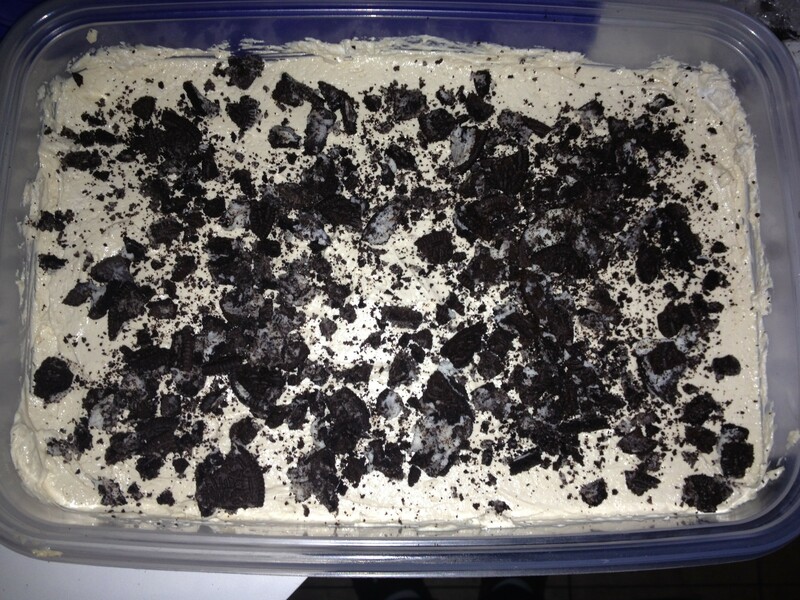 I’ve got a slight obsession with Oreo icebox cake. It all started with a discussion about the awesomeness of Oreos at work. A coworker told me about Oreo icebox cake. I had to try it. After trying it, I knew it would be fantastic with peanut butter (because peanut butter is one of the few ways you can improve chocolate). So for the big 4th of July weekend I stocked up on Oreos (thank you Sam’s Club for carrying massive boxes), cream cheese, peanut butter, and cool whip. That’s it? Well, almost- just add a cup of milk and splash of vanilla and you’re set to go! Beat cream cheese and peanut butter together. Fold in Cool Whip. Dip Oreos in milk…second confession…I have an unhealthy liking of Cookies ‘n’ Cream milk. Shhhh don’t tell! 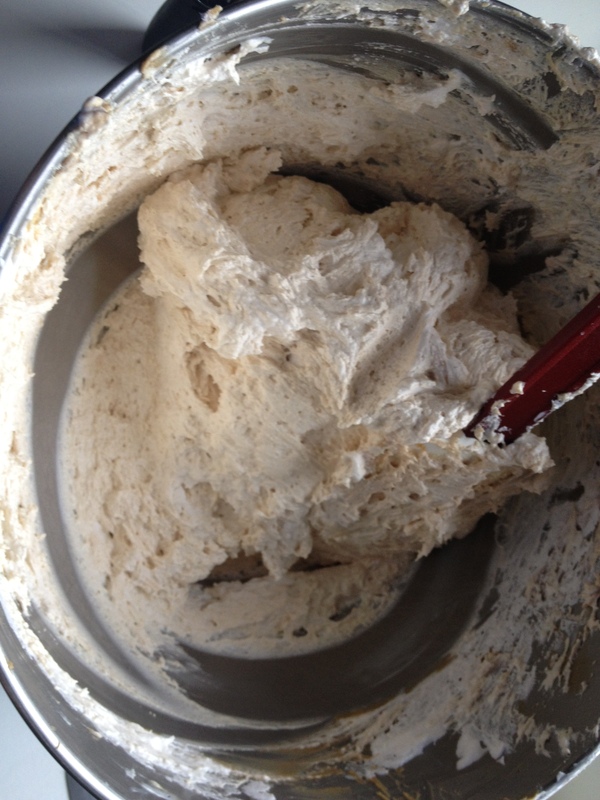 Beat together the cream cheese and peanut butter until thoroughly combined. Fold in Cool Whip. In a 9×13 pan (or a nifty plastic container if you’re prone to forgetting things at parties and you have none in your possession because of said forgetfulness…twice! 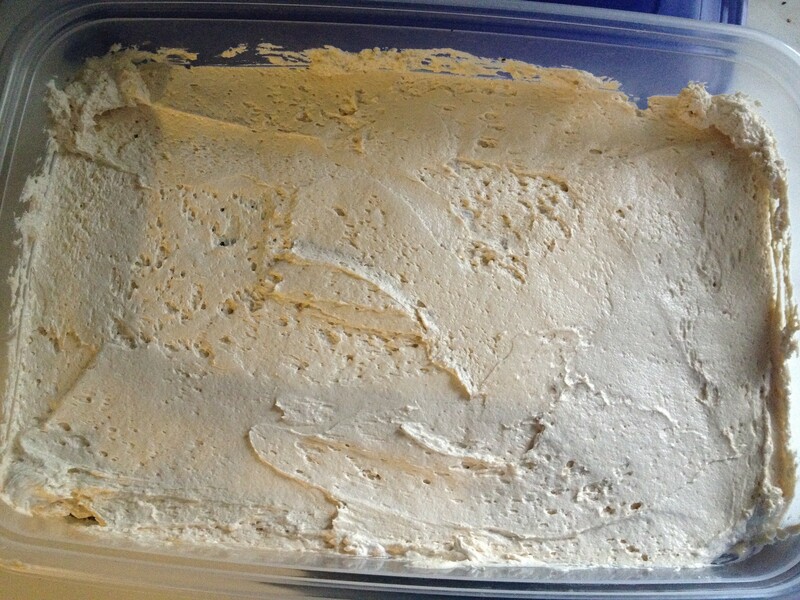 ), smear a little of the filling on the bottom. This keeps the Oreos in place as you work. 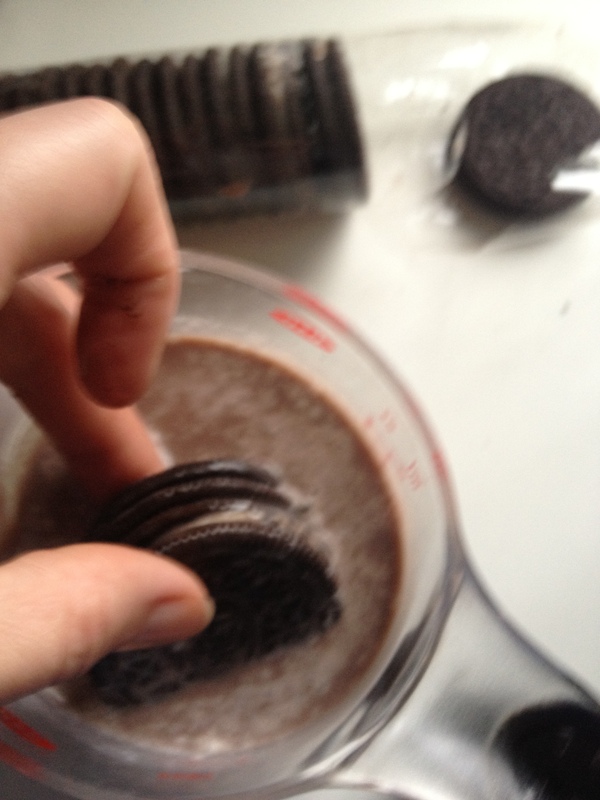 Dip the Oreos in milk and lay out, touching, to create a single layer in the pan. Spread half of the peanut butter filling over the Oreos. 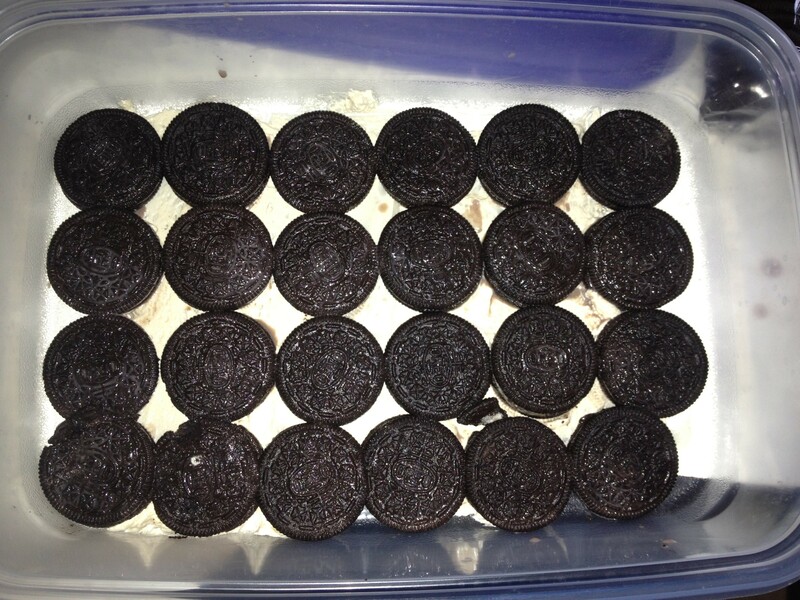 Dip Oreos and lay out in another layer, then spread the remaining filling over this layer. If desired, crush additional Oreos over top, drizzle with chocolate, top with crushed Reese’s…get creative! Refrigerate for at least 6 hours. Enjoy! Previous Previous post: Knee High by the Fourth of July!